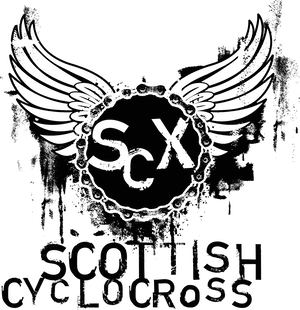 Scottish Cyclocross Association: Dumfries - update! As we reported earlier this week, the SWSCP Cyclocross race on 30th October is in serious doubt after the intended venue was double-booked. Although the organisers hope to secure another venue, SCX have decided to remove this race from the Tri Centre Scottish Cyclocross series. With a round in Ballater having been added to the series earlier this week, we're back to eight events and the basis of the league - six best results from eight races remains unchanged. We hope that the Dumfries organisers can go ahead with their event and will bring you news as soon as we get it. Click on links on righ hand column for more information and entry details on each event. If you're at a loss what to do on the 30th of October, West Highlands Wheelers are organising the 21st annual Fort-to-Fort. 35-ish miles from Fort Augustus to Fort William along the Great Glen Way. A cross bike is the ideal thing to ride - it is about 10 miles of road, 20 miles of forest road/canal towpath and 5 miles of single track. Start is 11am in Fort Augustus. £5 entry. Just cos a couple of folk have asked: there's no need to enter in advance, just turn up and sign on. The start is handicapped into groups of ten, so let the sign on folk know your rough ability. Sign on is in the car park by the petrol station, the race starts by the top lock.